Prices start at $113,445, which includes the Mustang donor car. The 2018 Ford Mustang GT is an extremely capable muscle car, especially when equipped with the . That hasn’t stopped Shelby from taking the already potent pony car to a new extreme with the launch of a . Based on the 2018 Mustang facelift, the new Super Snake is powered by Ford’s 5.0-liter V8 engine with a massive supercharger that increases the output to 710 hp in standard trim. If you want even more grunt, Shelby also offers an additional upgrade that cranks the output up to 800 horsepower. In this configuration, Shelby says the new Super Snake will sprint from 0-62 mph in a blistering 3.5 seconds. Other modifications include a bespoke radiator, heat exchanger and performance half shafts. To cope with all that extra muscle, Shelby has fitted new suspension and a set of Brembo brakes with six-piston calipers at the front and four-piston units at the rear. 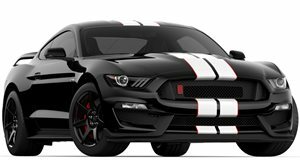 Visually, the 2018 Shelby Mustang Super Snake features a new aggressive front fascia with a custom grille, splitter, air intakes, and hood, along with new spoilers, rear tail and rear diffuser assembly. Completing the look is a set of 20-inch forged wheels with either a black or bright metallic finish. The new Super Snake starts at $113,445, which includes the Mustang donor car. In addition to the 800-hp upgrade, buyers can choose from a range of options including painted stripes, a wide body kit, track suspension, and a car cover.